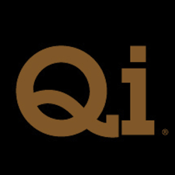 Online Food ordering from Qi Restaurant in NYC area. Thais are absolutely obsessed with food. Walking down almost every street in Bangkok – you’ll be struck by a whirlwind of flavors and aromas wafting through the air. Bangkok boasts a multitude of cuisines from within its country’s borders: Burma to Malaysia; Cambodia to Laos; from sophisticated royal palace fare to street offerings. the cuisine since the 13th century. Siam was a crossroads of the East to West sea routes, causing its culinary culture to be infused with Persian and Arabian elements. Portuguese missionaries introduced chilli. Buddhist monks from India brought curry and Muslim ingredients. Over time, Thais developed flavors uniquely identifiable as their own; and from this exotic melting pot of flavors and traditions, Thai food was born. Thai meals are always decadent feasts with dishes that titillate the tastebuds with combinations of sweet, sour, bitter, salty, and spicy. This defining characteristic of cooking has been a hallmark of my cuisine – dessert and beyond. With this menu, I want to share the vibrant foods that evoke childhood memories about my culture. For me, food represents happy occasions and celebrations: births; weddings; gatherings of friends and family. At Qi, I bring you all the secrets of the Thai world on a plate – because I want you to be obsessed with Thai food too.